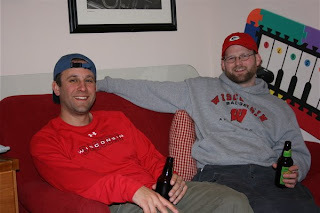 Here's Mike and Mike hanging out, like they like to do best, but not often enough! Ah my cousin! Love it...wow do I have memories of these two pushing me into the lake at Helen and Harold's...they are nothing but trouble together!